Cloud computing is the use of internet-based services to support business processes; it means having all, or most, of what you need to run your business available online. 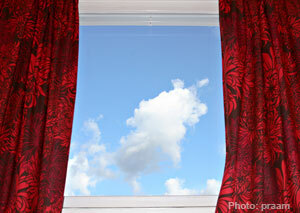 Examples of cloud computing most people are familiar with are Gmail and Google Docs. You can access these services from anywhere with an internet connection and your data is always there. Having your business ‘in the cloud’ in the next step up from having a Google-based business email address. However, before making the decision to move your business to the cloud, make sure you weigh the below pros and cons of cloud computing. When your business is in the cloud you and your team can work from anywhere there’s an internet connection. You can review a report, send your teammates a message, and check to see how a project is progressing from wherever you are – home, at the office, or re-energizing at your favorite coffee shop. Making use of cloud computing systems means your business will need little or no IT support. Those IT dollars can then be redirected to initiatives that directly impact bringing in more clients, for example; marketing your business, better training your employees, and improving your product offering or services. Having everything in the cloud, whether you’re using Google Docs, BaseCamp, Salesforce or other similar services, allows team members to quickly and easily edit the latest version of a document. We’ve all experienced the headache that comes with having multiple versions of the same document floating around, or when team members email you two different ‘final versions’ that you then need to merge together. Being in the cloud drastically reduces these problems and streamlines group editing and project coordination. Keeping your information online increases the amount of data you can store for your business. For free, or a low monthly subscription, you can have more storage space than you’ll probably ever need at one time, as opposed to the finite amount of space on your computer and/or external harddrive. What happens if the service goes down or if there’s a problem with their server? You could lose access to your data and important information until the problem is fixed, leaving you in the lurch with clients. Companies that provide ‘in the cloud’ services inevitably collect a vast amount of data from their clients. What do they do with it? Can you get all your data back if you discontinue service, and how can you be sure they’ll delete all your information? Tied in to privacy, your data may be subject to different laws and regulations regarding how it can be used if it’s stored on servers in the states or abroad. Make sure you are knowledgeable and comfortable with these rules and regulations before you hand over important or confidential information. After weighing the pros and cons, we decided we were all for cloud computing. If you take proper safety precautions, such as backing up your data, we feel the rewards far outweigh the cons of cloud computing. We love the flexibility being ‘in the cloud’ gives us to work from anywhere – whether we’re working from home a couple days a week, jetting off to Vegas for a few days, or spending a month in Europe. As long as we have a reliable internet connect we can work from anywhere, and that suits us perfectly here at Out-Smarts. Are you considering making the leap to cloud computing for your business? What’s holding you back? Let us know in the comments. This article was written by Corrie Scott, a graduate of the Sauder School of Business at UBC and the Digital Marketing Manager for Out-Smarts.